Of course, even as Loftus-Cheek is lumped into the “youth” category, he’s far from one these days. At 23 years old, he’s much closer in age to the likes of Kepa Arrizabalaga, Mateo Kovačić, or Emerson (all 24) — Hudson-Odoi, 18, or Mason Mount, 20, or even Tammy Abraham, 21. Ruben has been at this for a while, and that means he’s been attempted to break into the Chelsea first-team for quite some time as well. In fact, he made his first-team debut over four (4!) years ago now, back when José Mourinho was building a dynasty and holding “Academy Days”. Neither of those concepts played out as we would’ve imagined or liked, with Loftus-Cheek just one of several prospects talked up by The Special One but never truly given a chance (see also: Lewis Baker, Nathaniel Chalobah, Dom Solanke, Jeremie Boga, Izzy Brown, Nathan Ake, Andreas Christensen, etc., etc., etc.). Even worse than not playing the youth is promising them chances and then not following through. And that’s where Loftus-Cheek credits the current head coach with truth and honesty. Sarri may have taken longer than most would’ve liked, but once he saw what he wanted to see, what he asked of the players, he actually followed through. “He told me I needed to improve on my positioning and develop my defensive awareness if I wanted to play in midfield for him. But I worked hard on the things he had talked to me about and I think I’ve improved a lot on that aspect of my game, and he seemed to see the improvement and I think he sees me as a midfielder now too. Being an honest man won’t necessarily translate to a happy environment and long-term success (just ask Antonio Conte), or support and understanding from the fanbase (just as Maurizio Sarri), or even a long and healthy life (just ask Ned Stark), but it’s something that players surely value. It might not make them stay (just ask Callum Hudson-Odoi), but neither will false promises and lies. But some of that is also just the reality of playing for a top team, where competition for minutes is (or at least should be) constant. Loftus-Cheek has made an appearance in 12 straight games (only three starts, all in the last six due mostly to injury and fitness concerns) and 14 of 16 dating back to the end of January. He’s repaying that faith — and the attentions and advice of other coaches like Eddie Newton — with goals, dribbles, and midfield dominance. “I never used to use my body as much as I do now. Eddie Newton was always saying “why don’t you use your strength and your power, just put your body there and blow past him” because I naturally just always went to dribble and beat people with quick feet. 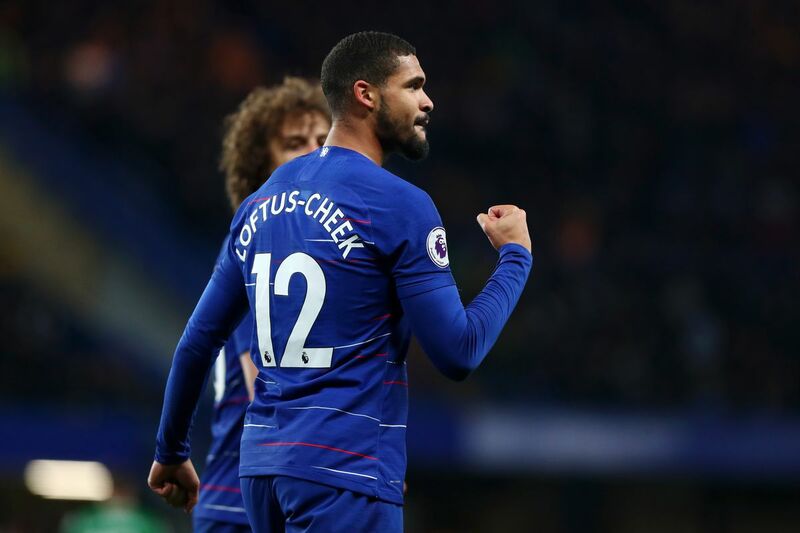 After starting on the bench against Slavia Prague on Thursday, Loftus-Cheek should be back in the starting lineup on Sunday against Liverpool, just as he had been for our two previous Premier League games. We could certainly use another excellent performance!